Today's forecast for the Dales was really grim. In fact I turned over and had an extra hour in bed! But looking out it didn't seem to bad so I cracked on and got myself over to Ingleton for the start of the ride. Our initial climb was on tarmac after riding through Thornton-in-Lonsdale and Far Westhouse. We had a bit of wind behind us! It was very warm tho. Here we arrive at the first offroad Tow Scar Rd. After a blustery ascent on to the Turbary Road, things got rather easier. Here we're at Rowton Pot, just below the "road". Cavers were abseiling down into the depths. 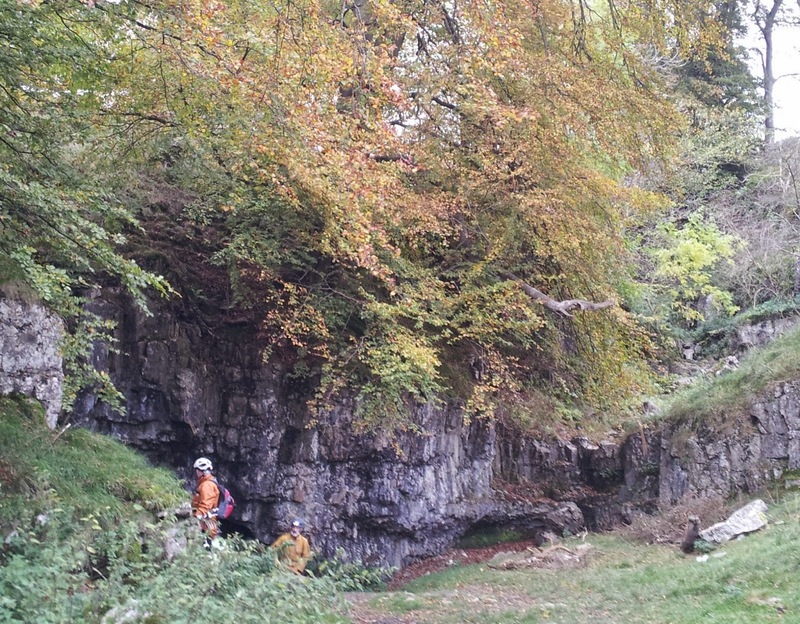 After a convoluted descent to the Kingsdale road we went and had a look at Yordas cave. Well worth a visit if your passing (good headtorch required). 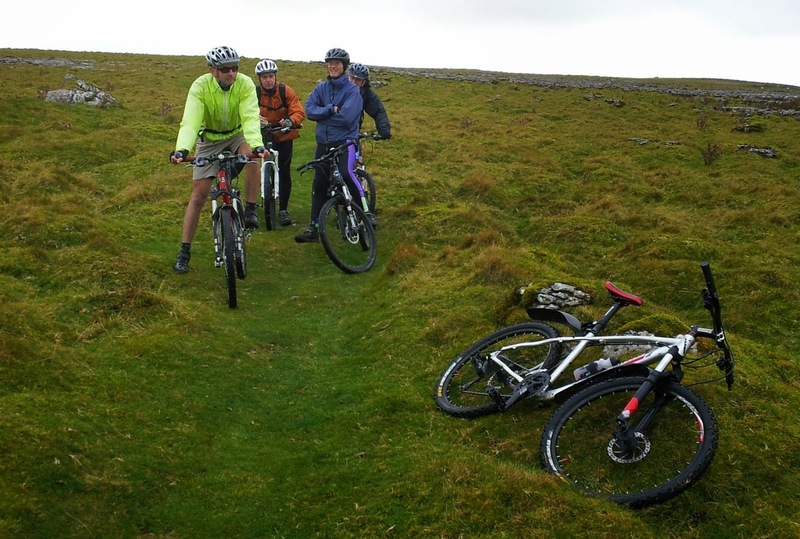 After lunch we rode back down Kingsdale, having a look at "Valley Entrance" and "Keld Beck Head". Proper windy down here a foretaste of what was to come! 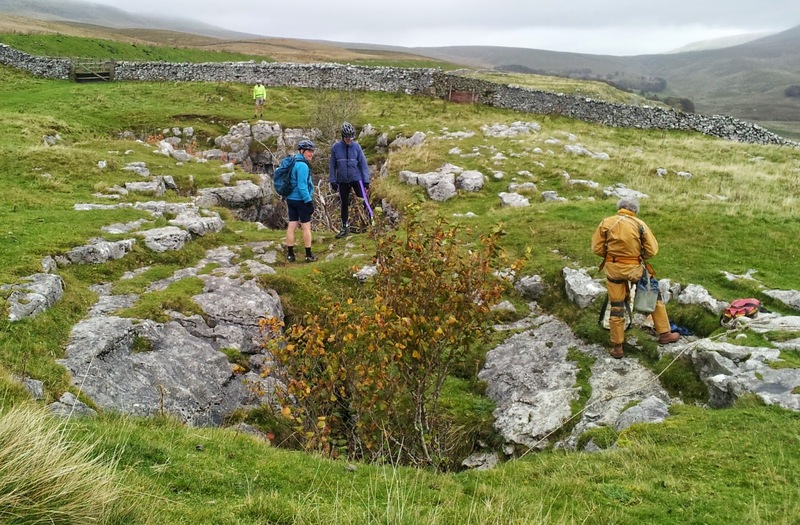 Here we've just completed the steep ascent onto Scales Moor, the ride across the moor is excellent, although the limestone today was treacherous! Shortly after this the rain arrived, driven in on the vicious wind. 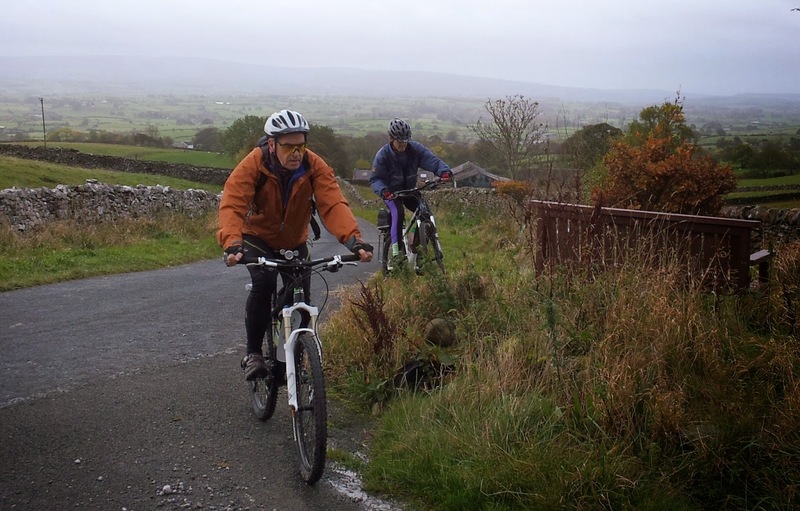 We dropped down to Chapel-le-Dale and fought our way back towards Ingleton into the gale. As we dropped down Oddies Lane into the village the sun even tried to make an appearance! Glad I made the effort, a grand day battling the storm in great company.